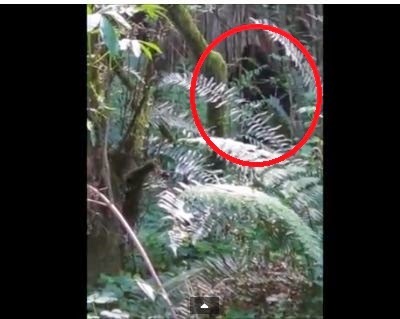 A California woman claims to have filmed a Bigfoot while out walking in the forest. I wish there were more details but there isn't. The lack of information surrounding the video is suspect. Looks like it could be a man in a suit. And what the heck is the subject doing in the video? What do you think, man in a suit or Bigfoot? The camera seems unusually steady which suggests no fear by the operator. I don't think this is genuine . The swaying of the creature's movements seem suspect. It seems to be blinking by lowering it's eyebrow.